Description: A rare model of a shepheress holding a lamb. 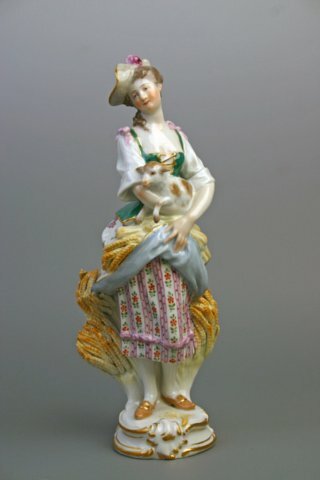 One of only three items modelled by Gustave Deloy for Meissen c.1895-96. Mark Info: Crossed swords in under glaze blue. Incised model number P 163 and impressed assembler's number 152.